Do I really need shoe trees? 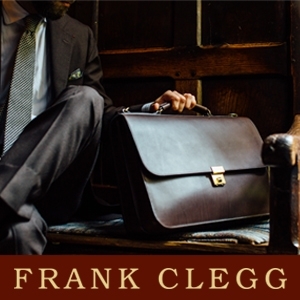 – Well, if your ‘dress shoes’ shoes cost sub £100, then chances are you really do not have a practical need for shoe trees as there is a 95% chance that your shoes are not made from real leather. Sure, you could buy them to try and retain the shape of your shoes, but without knowing the material in which your shoes were made and how they react to stretching there really is no way of telling whether or not they will effectively work in retaining that shape. And more likely than not, your shoes won’t be lasting too long anyway, at least not long enough to justify spending more on something that most likely won’t increase their life. 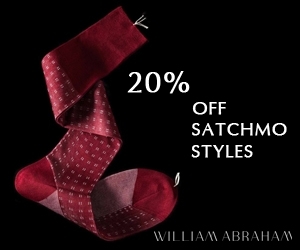 – If your shoes cost from £100-£250, then this will be very subjective upon the nature in which you purchase footwear. If you are someone who spends this amount each year to then just replace them, then in realistic terms, the only reason that you should get them would be to keep odor out (for cedar ones) and creasing down to a minimum. You will have to decide this for yourself. But from a life-prolonging standpoint, there would be no reason to buy them. However, if you are a collector then by all means you will want shoes trees and for each pair. 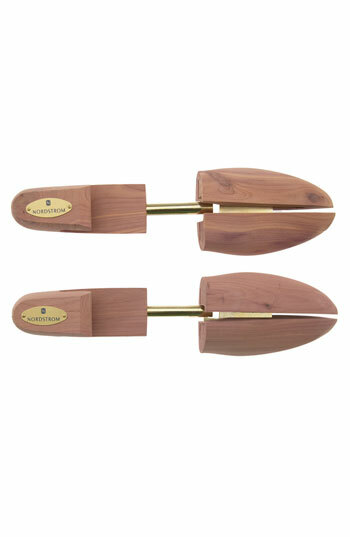 Alderwood shoe trees from www.theshoesnob.com for £37.50 ~ $55 — (with EU vat £45). There are a lot of shoe trees out there all claiming to be the best. So how do you know which one really suits you? You probably don’t. I think one common sense opinion would state, the cheaper your shoes, the cheaper your shoe trees need to be (not so much in price, but mainly in look) and the more expensive your shoes, the more expensive and elaborate your shoe trees should be. To a certain extent I agree with this, only that when you get into the upper echelons of footwear (in price), I don’t believe that a +£100 shoe tree is absolutely necessary to maintain shape, prolong life or reduce moisture. A cheaper option would do, that’s for sure and anyone telling you otherwise is just trying to sell you something. If your shoes cost less than £200 (and you feel like using them), then you will not need to purchase anything more than the ones listed below (generally in the £10-£20 range). These do the trick of simply holding some form in your shoes (but it is minimal) and may slightly help in reducing odor (if cedar). Sometimes these shoe trees can deform your shoes though, particularly with the tree on in the bottom picture (directly below). I have see a tree like this make a shoe’s form turn completely altered through its use, as many times it puts too much pressure on that front part of the shoe while pushing the back of the heel counter through spring pressure causing the arch region to start bending in a convex manner. If your shoes cost from £200-£700, and you see them as an investment to take care of then you will want to go with the ones listed below ranging in price from £30-£80. These shoe trees for me are the most practical, as they do the job of filling up the entire shoe, and don’t always cost that much if you look hard enough. The only downfall is that they will never fit perfectly, but in reality, do you really need it to? I don’t think so, and I am a snob….while I would prefer to have lasted shoe trees in each of my bespoke shoes, I must admit that I don’t…And I don’t worry about it, because these do the trick. But do bear in mind, the better a shoe tree fits, the harder it is to get in and out of the shoe. That is a fact. So the key in this price range is to find the best fitting tree at the lowest cost. You can spot a shoe tree’s good shape by closely it looks like the profile of a shoe i.e. proper instep fitting, heel cup shape, sloped vamp etc. If your shoes cost +£700, then most likely you will be venturing into the realm of lasted shoe trees. What this means is that the shoemaker will pretty much take the last and copy it onto a shoe tree just as if they were duplicating the last. This will allow a perfect fit, which is always ideal for maintaining shape. But are these essential or practical? Not really, but neither is putting in custom interiors into your Ferrari. You do it because it looks good, and completes the purchase. It’s not a make or break decision. You could live with the stock interior or the cheaper shoe trees. It won’t deteriorate the product, only make it less attractive…. I hope that by listing these above, you can get a good idea of what you should be buying and what you shouldn’t. I won’t get into all of the difference between each type, because then I would be writing for hours. And frankly I hate listing facts and features. In reality, I think that this debate was created out of great marketing, and it’s always the people who purchase cedar trees that are going to tell you that it is better. The people who purchase beech wood or alder wood or lime trees know that there is no difference in reality, not at least a difference that is going to justify anything of value, except for maybe the fact that the strong odor of cedar is meant to help in countering your nasty foot odor. If this is a difference to buy a one tree over the other, then so be it, but for those that don’t have stinky feet problems, then there is no real better option. I have linked below a great thread that goes into detail about this, so I won’t divulge any more. Do have a read if you are curious as to what some experts say, like Mr. Ron Rider of Rider Boot Co. If you are a businessman who wears nice shoes and travels a lot, then you are going to need what I call travel shoe trees. They will be plastic, hollow and should weigh less than a few ounces. The only thing that they are good for is making sure your shoes don’t get squashed in your suitcase. They are cheap, easily replaceable and can be found literally anywhere. In reality, buying shoe trees is trivial. They are probably the most important thing that you could purchase in conjunction with your nice leather shoes, but if I must be completely honest, so long as you get one that fits well in your shoe and is made out of some sort of wood, it’s going to do the trick, plain and simple. You don’t really need any fancy smancy stuff, but you don’t want to settle for the cheapos either. Get the middle of the road product (£30-£80), and it will be all you need! 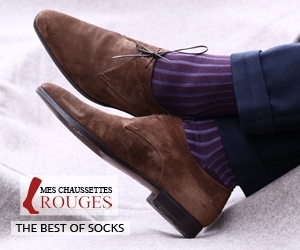 Some very basic care in your nice leather shoes will go a very long way. I must admit I only use plastic shoe trees. (exactly like the blue plastic pair you posted) or stuff my boots with newspaper. Never really cared as the plastic trees didnt seem like it was strong enough to alter the stiffer leather out of shape. hi justin, ive been using the cheap horrible ones right at the top left which is basically a wookden foot shape with a spring attached! you said this could damage a good shoe//what kind of damage do they cause? had a quick look on the web at better quality ones in the mid price range, they only seem to come in whole sizes though so do you size Up or Down if you are a half size? Love the blog mate, and this info is great as u can’t get it anywhere else! Would be interested to note where u recommend for shoe trees? Thanks for this very usefull post! As Andy already mentionned, an other related issue to deal with is the sizing of the shoe trees. I have exactly those un-varnished red cedar two-way sprung ones from Bexley – very reasonable with a standard price of (if I remember rightly) 59 Euros for four sets, and sensible postage to Europe. I don’t see the point in buying cheaper ones the the �12 per set these work out at. But by the same token, I don’t see much value in getting more expensive ones that are the same, or varnished ones that look pretty but can’t draw the moisture out of the shoe. One advantage of buying from that supplier is that the sizing is French, so I as a 9.5 normally can actually get a 44 that is closest to the right size. My only quibble is that as I generally take a wide fitting where available, it would be good to have that option in trees too. I have to agree with James though: if your shoes are nice enough to even be offered with lasted trees, it’s got to be worth it as a percentage of the purchase price, just as these perfectly good Bexley ones seem appropriate for my �100-�300 ready to wear shoes. I was told that using cedarwood shoetrees was better when trying to prevent foot-odor. Beech and other woods absorb just as well, but in the long run the shoetrees will start smelling bad as well. Cedar, on the other hand, has such a strong smell of itself, tha although the trees absorb odors, it won’t start smelling bad itself. Since I have no ‘smelly feet’ problem I have so far been unable to verify this. I wonder if anybody’s s*** stinks either?! People are funny on the internet! Anyway, another point about shoe trees from my limited experience: I’ve recently revived a very old (20 years) pair of Loake cap toes that I found covered in mould at the bottom of a storage box. They were very squashed and misshapen too. Putting trees in them while stripping, moisturising and polishing them, has restored them to their shape very well. My point is that trees don’t just preserve your shoes by removing moisture and minimising creasing: it seems that even after years of neglect on a pair of shoes, it’s still worth using them even if you haven’t always done so. Mystical – Thanks for the honesty…can’t knock that! John – Glad that you enjoyed it! Alex B – In reality, the only ones that one needs are the ones that you have. they are the best value for the money, hands down. Alex B – well done on that! Probably a significant point would be whether the shoe has a leather toe puff or not. A plastic toe puff would be less inclined to jump out of shape if you shove a wrongly shaped shoe tree into it but a leather one (particularly if resting your shoes for a while, or if you got them wet) would take the shape of the shoe tree. But then I suppose the cheaper shoes you talked about won’t have leather toe puffs anyway. When the shoe trees are in place should the laces be done up or not? Just had a search on the web for shoe trees and found this on ebay. I have no affiliation with these people and have never used them, but the trees seem well priced. Lucas – I am a bit confused here about these plastic toe puffs…I have never heard of high end shoe makers using them. All bespoke shoes are made with leather toe puffs…. I wondered what happened to the list of shoe trees for this post — they seem to be missing. If you could repost the �30-80 in the comments section I’d greatly appreciate it! Ben – Not sure what you mean, they are there in the second column of shoe trees, below where it says �30-�80…. Hi, just brought my first pair of proper shoes (c&j Tavistock) for my wedding this may, so won’t be wearing them until then. Lai Lai – Yes, one week should be sufficient…but please do email me before hand just to make sure…Congrats!!! I don’t know why I’m missing this, but I don’t see the list of shoe tree options? I’m searching for some high quality, branded shoe trees (as much for funcation as display). I’ve considered the Paul Smith option ($165 a pair) which are painted bright colors, but given the painting, don’t seem like they’d absorb moisture well; the Hermes option ($250 a pair), which look great, but don’t absorb at all, and some basic options offered on Mr. Porter, Nieman Marcus and Barney’s New York. I’d love to find some Ferragamo shoe trees, but it doesn’t look like they’re for mass sale. I need about 6 pairs. I am a bit confused, do you not see the pictures? As per wanting branded shoe trees, well most makers have them. C&J, G&G, Edward Green…. Hi, Can you please clarify something for me. I just got my first pair of Edward Greens. They were on sale but still well above my budget so I’m understandably a little timid about the idea of spending an extra $150 on trees. What I noticed though is that EG seems to have only 2 types of Tree. If the whole point of getting the manufacturer’s trees is that they are lasted to exactly match the shape of your shoe then doesn’t it defeat the purpose when they are selling 1 shape tree to match multiple different lasts? The Paul Smith Shoe trees are Lime, with a water based stain to match the shoe colours. The Stain is very light, and will still allow some moisture absorption. Ultimately though, a completely unfinished tree is best. As to the wood – it doesn’t matter really, just preference by the shoe manufacturers. Lime is the lightest, but high quality (John Lobb), Cedar is a reasonable cost wood, even if the finshing is very high (Church), Beech is high quality, but too heavy for most people. I am in the trade and simply reccomend using anything but plastic….all shoe trees have their merits! thanks for your input my friend! Where did I read about the lightweight African wood shoe tree made for travel by some English bespoke artisans? Is there a prescription for buying a shoe tree that is a size smaller than the shoe? The reason I ask, is that i bought size 27.5 shoes in Tokyo, also bought size 27.0~27.5 Diplomat about trees for them, but they seem too big? How can i tell if the trees are the right size? Do you have any experience with oak shoe trees? I recently bought a pair from Jan Kielman in Warsaw. They also sell beech ones but see oak as being superior (I didn’t ask why). is there a Shoe form that can be used for 360 degree photography that can hold up ladies shoes that have a lot of straps to show minimal form detail. Example attached. Does anyone know if these are these any good. I have a pair of Grenson (Grade two’s) and thinking about purchasing a C and J pair. It was these or the ones in Jonesbootmaker. As far as cost effectiveness goes, what is your opinion on the use of plastic shoe trees in conjunction with desiccant satchets? They will be light and the desiccant can be reused over and over again. They certainly serve the purposes of shoetrees which are primarily to stretch out the upper and sole as well as to prevent odour by wicking moisture away. Also, I have a small collection of suede tassle and driving loafers. What would you recommend as the best way to protect them? I’m afraid a shoe tree might stretch them out, They are a little on the delicate and more elegant side of mens footware. First thank you very much for your blog! I really learnt a lot here. Also looking forward to the new season of your shoe collection! I bought a pair of Church’s custom grade two years ago and have been wearing them approx. 2 times a week. Normally I go for UK 6.5 for Church’s shoes but since this particular pair has a slimmer last, I went for a size 7 instead. I use a size 7 shoe tree for all my shoes. However, recently I found that the shoe tree seems a bit too small for this pair may be due to gradual stretch from wearing it over the years. I was told by the people from the shop that I should go for a size 8 shoes tree. Will it further stretch the shoes? We gave it a go at the shop if fit in alright, ie we did not need to jam the shoe tree it. But I am concern that further stretching will make the shoe too big for me leading to significant creasing…..
What should I do? This is my favourite pair of shoes and it means a lot to me. I would still like to look good in it for the years to come. Please help! I recommend shoe trees, especially if you have big feet or are subject to size variations due to swelling. They keep the insteps smooth and uncreased, while making polishing a lot easier. If you can’t find or afford them, simply roll up an old undershirt and stuff one into each shoe. That works fine for keeping the front of the shoe taut and smooth when not in use. I just bought my first pair of shoe trees, and this post was so helpful!! Thanks, Justin! Love your Instagram account, too! thanks Leslie!! 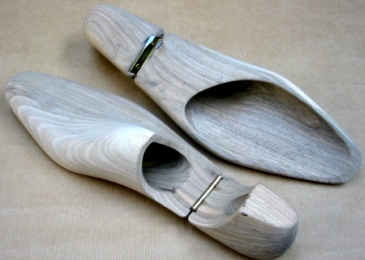 We will soon be offering our alderwood shoe trees in ladies sizes so watch out for those! I have come to the conclusion that rolled up wrapping paper can do more to keep the shape of the shoe than trees. I use the stuff that come stuffed into my shoe when I buy it. I wear barefoot shoes–not snob approved, I know. Not the best looking. But because they have so little structure, they can really go flat quickly. Paper works great. i would say that this is a myth and nothing more. Does someone know of a store in Houston that sells the double prong shoe trees (the fuller ones). I have a few pairs of new shoes and want to make sure I get the right fit. I have tried over 5 stores and all have the lesser quality shoe trees (Nordstrom ones from above). I have a pair of men’s shoe trees, a blonde colored wood, 5 parallel cuts in the front section, two semi-circular metal rods between the front & back sections, a seemingly immobile wooden knob at the heel end. There is an old label that says “Gimbel’s,” which is a store I remember from my childhood in Philadelphia, PA, USA. They do not seem to have any capacity for size change, and are marked “large” on the back of the front section. The metal parts have some writing on them, but I can’t make it all out. All I can see is “tree company” and “ter NY, as well as what might be a partial phone number of “599-900.” Can you provide me with any information as to age, maker, type of wood, value, etc.? I would very much appreciate whatever details you may be able to provide. Thank you.